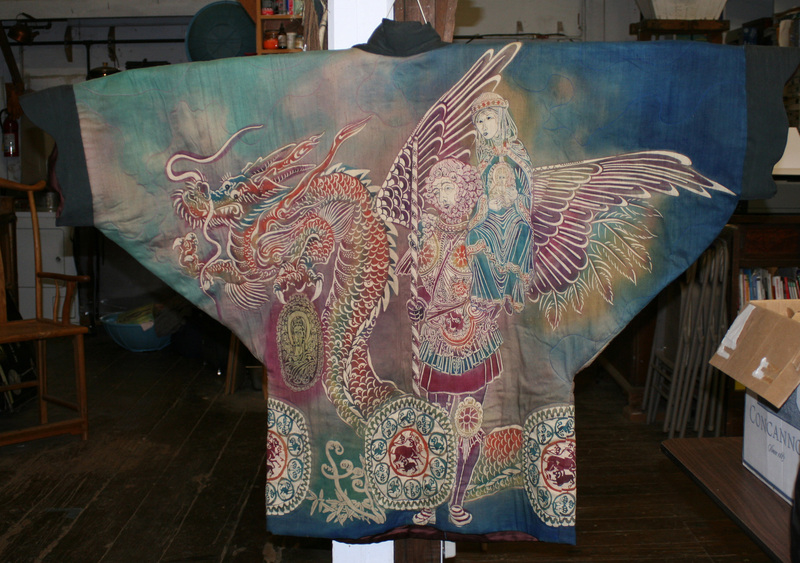 Katazome is the Japanese art of stenciled paste-resist dyeing. A paste made from rice bran and glutinous rice flour is applied to cloth through a stencil and allowed to dry. 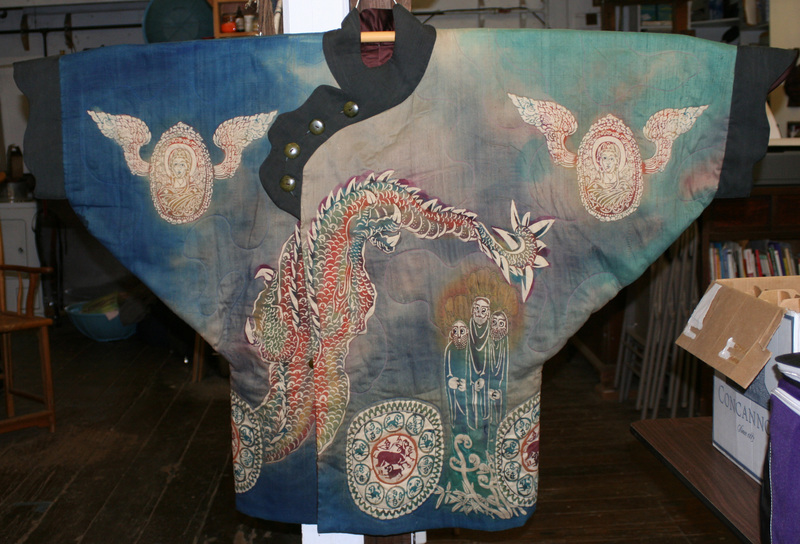 Pigments are then applied over the paste, or the cloth is dipped in an indigo vat to apply color. The areas covered by the rice paste remain white, while the other portions are dyed. I was lucky enough to study katazome for three days with John Marshall, a well-known artist and teacher. Because there isn’t a lot of information available about katazome, I’ve tried to document what I learned. Bear in mind that I’m not an expert – this is simply what I’ve learned from John and what I’ve found to be true in my own limited attempts at katazome.